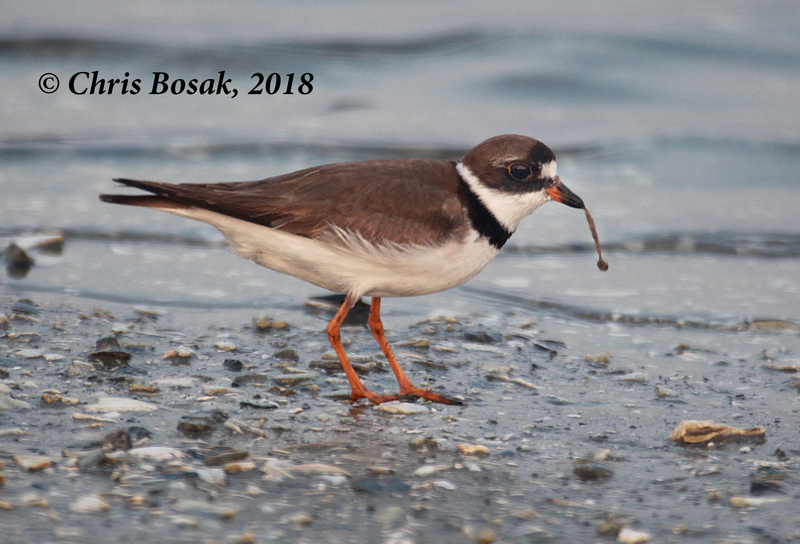 A semi-palmated plover looks for food at Assateague Island National Seashore, Maryland, summer 2018. Semipalmated plovers are fairly common sightings up and down the coast, including New England, but I got a good look at this bird as it hunted the shoreline of a marsh at Assateague Island National Seashore. I even caught him pulling a worm of some sort out of the mud. 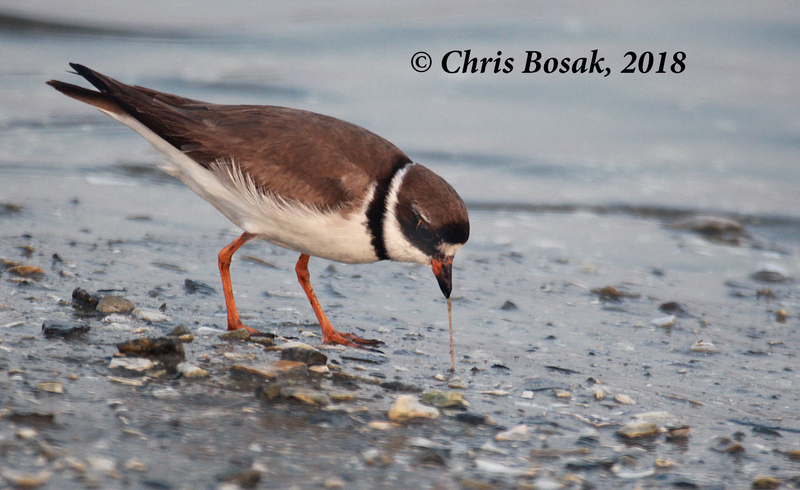 This entry was posted in Shorebirds and tagged birds at Assateague Island, semipalmated plover by Chris Bosak. Bookmark the permalink.